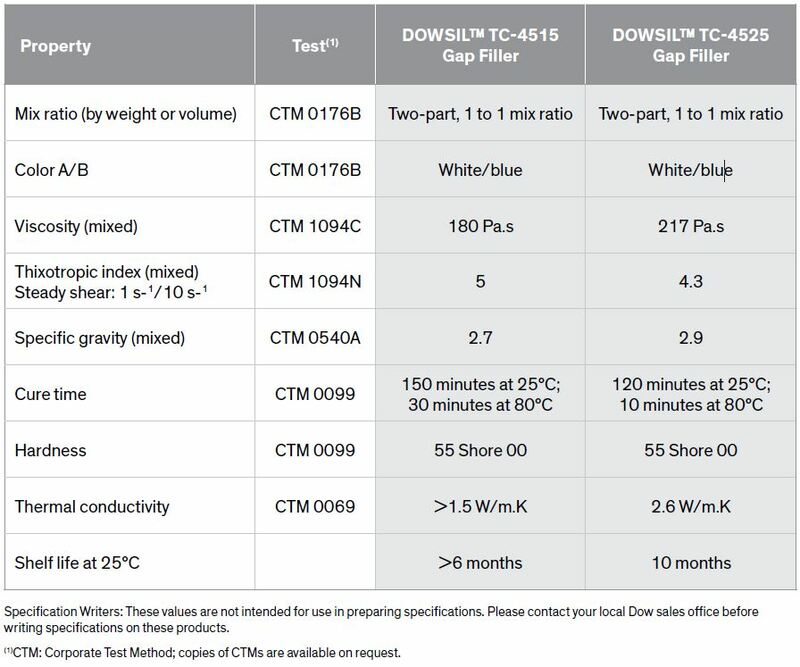 DOWSIL™ thermally conductive gap fillers are soft, compressible, two-part, high-thermalconductivity silicone materials specifically formulated to process easily and to effectively dissipate heat away from PCB system assemblies such as printed circuits by conducting it to a heat sink such as an aluminum housing. The softness, tackiness and compressibility of gap fillers compensate for nonsystematic flatness tolerances of the PCB and the heat sink. These intrinsic properties allow efficient interface contact to be maintained, improving heat transfer. Gap fillers also dampen vibration effectively, reducing the risk of failure caused by mechanical vibration. As automotive PCB system assemblies contribute ever-greater value to automotive safety, reliability, performance and comfort, they also are generating higher temperatures that can reduce the functionality and reliability of modules over time. assemblies in harsh automotive underhood environments. 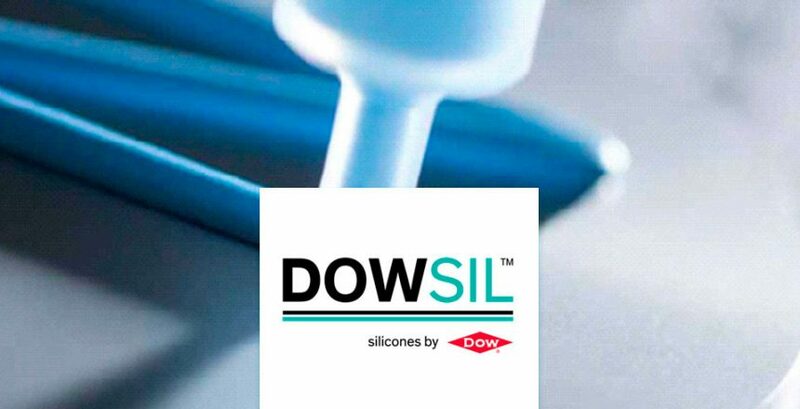 DOWSIL™ thermally conductive gap fillers are soft, compressible, two-part, highthermal-conductivity silicone materials specifically formulated to process easily and to effectively dissipate heat from critical PCB system assemblies such as engine or transmission control units, braking and stability controls, sensors, and other high-heat applications. 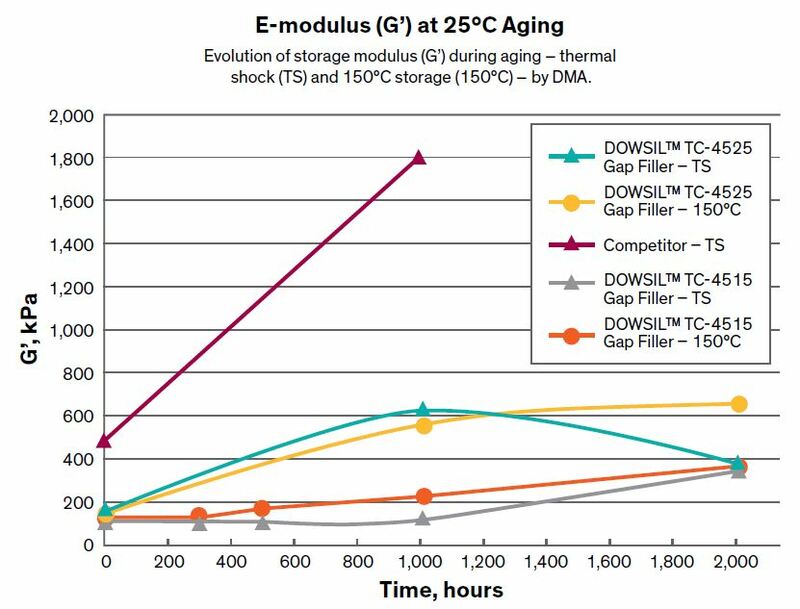 Improved reliability in harsh temperatures: Thermally conductive gap fillers effectively dissipate heat away from sensitive components. They withstand peak exposure at 200°C, and they perform reliably at operating temperatures ranging up to 150°C. Easy processing: These advanced thermally conductive silicone gap fillers dispense easily from the original packaging with minimal to no additional process preparation, making them well-suited for automated application using standard metered mixing equipment. Effective assembly: Thermally conductive gap fillers avoid slumping on vertical surfaces during assembly. After cure, they maintain their vertical stability even after long use. 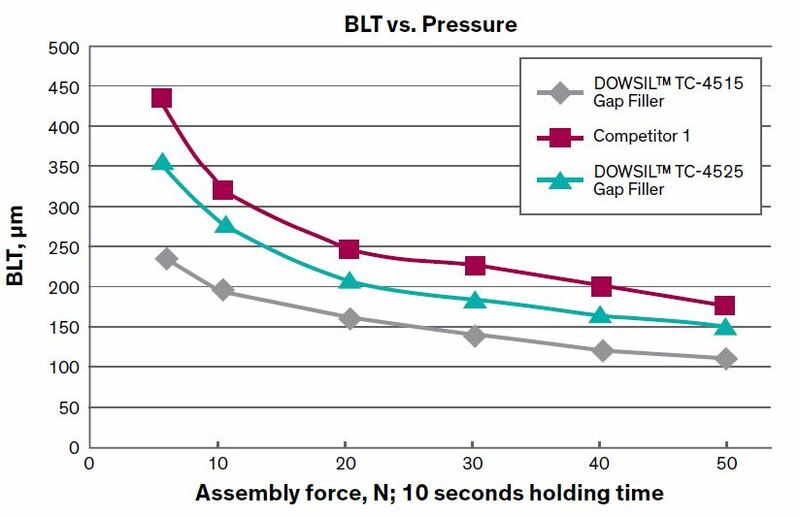 Select formulations incorporate glass beads to control bond line thickness (BLT) during assembly. Cost-effective, fast cure: The platinum cure system enables fast, controlled cure at room temperature, although cure times can be accelerated further with heat to reduce manufacturing cycle times. No post-cure steps are required. UL 94 V-0 recognition: Received recognition under Underwriters Laboratories’ UL 94 standard, which evaluates the flammability of plastic and silicone materials intended for parts in devices and appliances. Recognition under UL 94 is a step towards applying the UL label on your final product.